Oh, so there are no gimmicks to it, like the maid costume being all unassembable? How's the durability and stretchability? 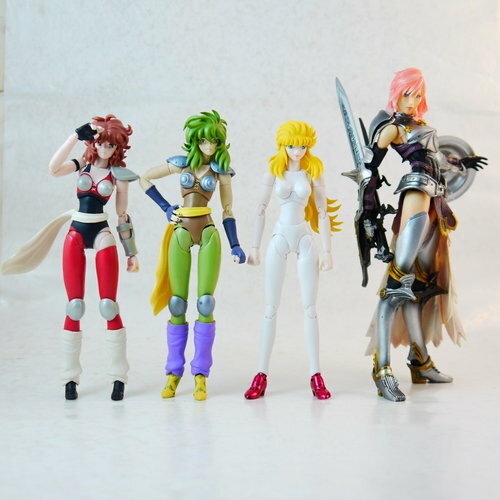 Think it'd fit a Figuarts (more specifically the Cloth Myth girls)? If you don't mind, I'd like a pic of it loose anyway. Those official shots are too bad to have a good idea of what the product is. honestly the photos on amiami are exactly what it is. Looks just like that sitting in the package. Besides that I don't think my photos will be any more helpful than the stock one. It doesn't feel like it'll fall apart, but it was easy enough to cut with normal scissors (as I mentioned, the limbs are too long to fit a Small shinki. I may get one to try it out... hopefully it won't rip. Shinki are the right height more or less, they're just a lot skinnier than picconeemo bodies, so they don't fill it out as much. What are you intending on putting them on? Depends on how much difference we're talking. ...I did not look at the link initially, so didn't know you meant the girls. So skinny doesn't apply. Still, not sure. ...what Myth Cloth did that naked one come from? But as you've probably guessed, there are lots of photos that take advantage of that. I'm intending it to be a biker suit of sorts, it won't go with armor. well I meant 'naked' the same as a blank MMS is called 'naked'. So, Mermaid Thetis. Got it. How tall are those compared to shinki? I'd been tempted by... ...one of the two on the left. can't remember which. but never did anything toward it.